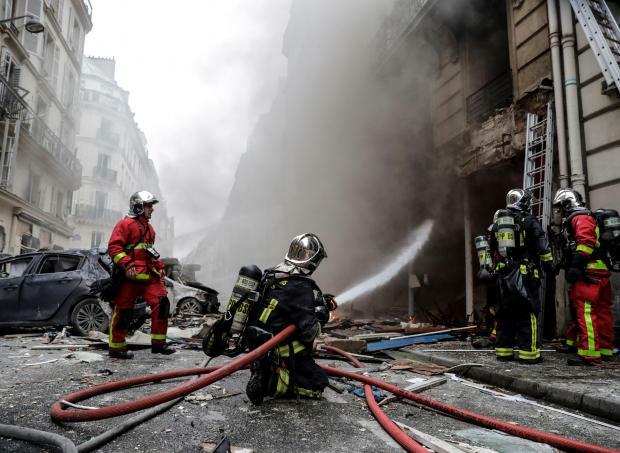 A powerful gas explosion tore through a building in central Paris on Saturday, killing two firefighters and a Spanish woman, injuring dozens of people and badly damaging nearby apartments, officials said. 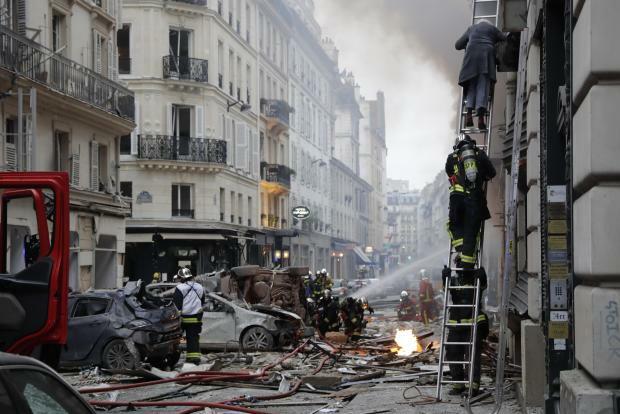 Besides the two dead firefighters, 47 other people were injured in the blast, 10 of them seriously, the Paris prosecutor's office said. Dozens of tourists, suitcases in hand, were evacuated from the many nearby hotels in the area, a popular weekend shopping destination for locals and visitors alike. Other residents were in bathrobes or quickly dressing in the street as police helicopters circled overhead.